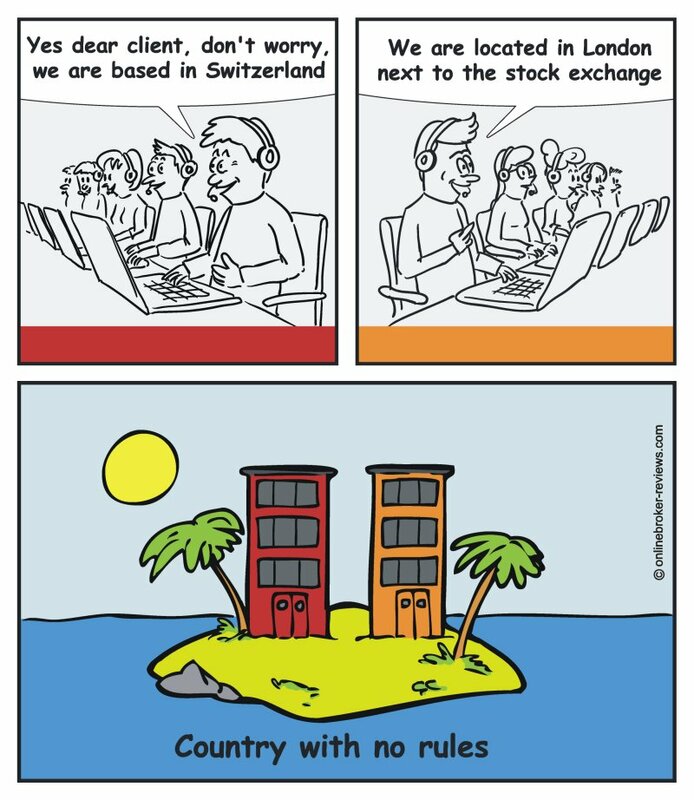 Cartoon: Where is your broker really located? You are here: Home > Financial cartoons > Where is your broker really located? Where is your broker really located? A lot of retail traders get phonecalls from call centers promoting a certain broker. Often they are lying about where the broker is really located. A lot of scam brokers are trying to convince traders to become clients by lying about where they are located. Most of the times they want to make you believe that they are located in a well respected financial area, such as London in the UK or Zurich in Switzerland. Always check if the broker is really regulated and stay away from unregulated brokers.